Are you looking for a cosy bolthole within 3 hours from London? A few weeks back, a few of the Creative Bus mama’s spent a happy few days pottering around the beautiful countryside of South Norfolk. For those of you that have treated Norfolk like a distant cousin, and always head West for your family driving breaks, (complete with ‘learn to speak cornish’ cd’s in tow), let us share with you a few of the secret’s of the rather flat, but unspoilt county of Norfolk. It is a county of enormous contrasts, with wonderful huge open spaces, big skies, lots of water in and around it, and also hosts a Centre-Parcs, the forgotten Great Yarmouth, the one city of Norwich, (which Delia keeps on the map), was home to Diana the Princess of Wales, Lord Nelson and Barry Pinches the snooker player. Also the locals wont get offended if you call them Norfolk Dumplings (an allusion to the flour dumplings that were traditionally a significant part of the local diet of course). 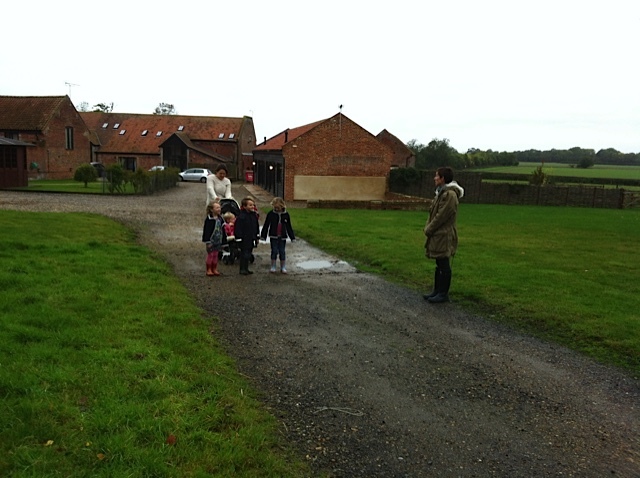 We based ourselves at Wheatacre Hall Barns, close to the small town of Beccles. The property consists of 8 very comfortable holiday cottages, which are all converted barns of varying sizes sleeping between 2-7 people. Out cottages that slept 6 were a welcomed change to the normal ‘fisherman’s cottage’ we usually end up in on our weekend breaks and were really spacious, there was no tripping over your kids or wet wellies even. The cottages are really well maintained, clean and have no noisy boilers, or dodgy TV connections. Most importantly for us was the central heating, which was happily blasting away and due to the October rain, which was sadly fairly crucial during our stay. We felt welcomed, with the thoughtful added extras; a homemade cake left waiting for us, kids games a plenty and a well stocked DVD library, as well as fresh eggs from the office, and an unpacked Tesco delivery before our arrival which added to our time in our new ‘holiday house’ being that much sweeter. Not forgetting the hot tub, the games room, the small ball pool (soft play) the football pitch, and the gorgeous walks and fresh air. All those perks, made the kids very happy, and the trip very memorable. There’s something so exciting about being in a hot tub with your best friends, that kind of bonds your friendship, well it has always had that effect in our family anyway! The barns are set within a working farm of 1100 acres and includes a 200 cow strong milking herd, which made for a good afternoon activity of stomp across a few fields to watch the cows being milked, an important part of any city kids’ education! About 40 minutes away, not far from Norwich, is the wonderous Bewilderwood www.bewilderwood.co.uk. 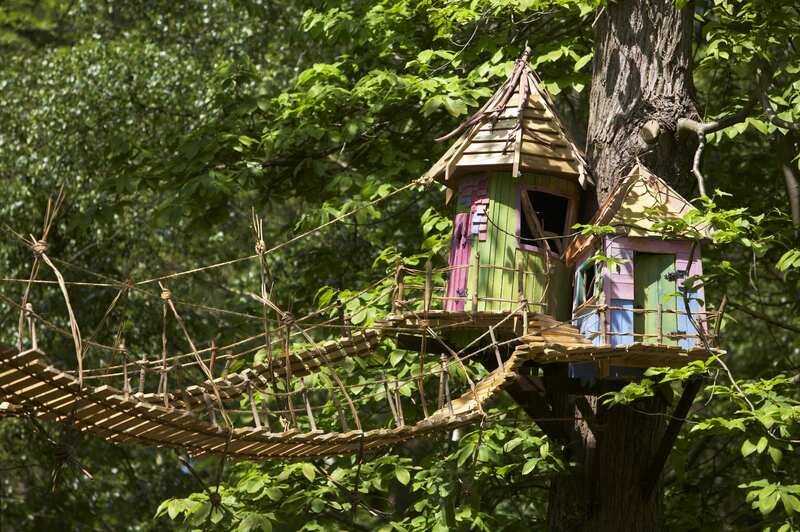 Set in a pine forest, this fantastic children’s outdoor adventure features magical tree houses, zipwires, T-Bars, boat trips, a maze and huge slides. 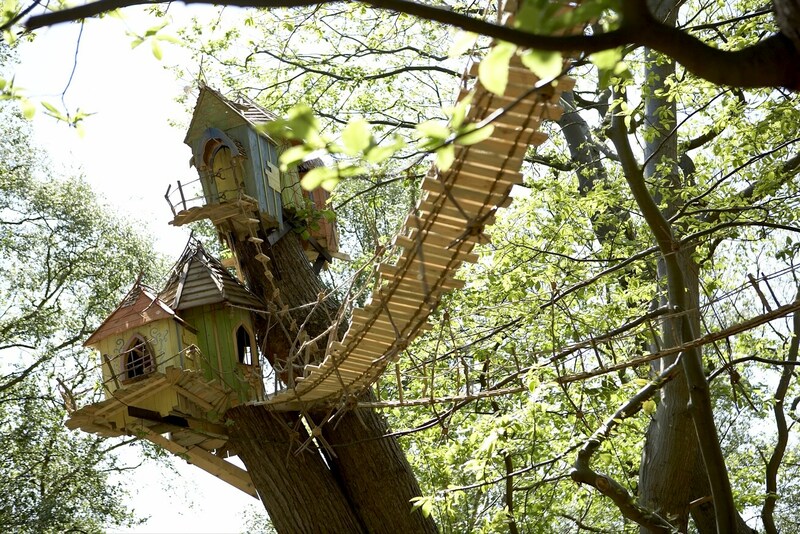 On a grey, chilly Saturday our children spent a glorious afternoon behaving as if they were in a tropical jungle – swinging through the trees like monkeys, running along the treetop walkways and flying down the slides inside a cloth sack. Adults were infected by the squeals of delight and happily launched themselves down slides after their offspring! We will post more on the magic that is Bewilderwood soon. Back at the ranch, a soak in the hot tub, located in its own little hut right next to our cottage was the perfect reward for all our exertion, followed by big bowls of pasta and “Strictly” on the sofa. There a lots of attractive villages and towns to visit nearby and plenty of good pubs to choose from and Wheatacre provide tons of information on local activities. 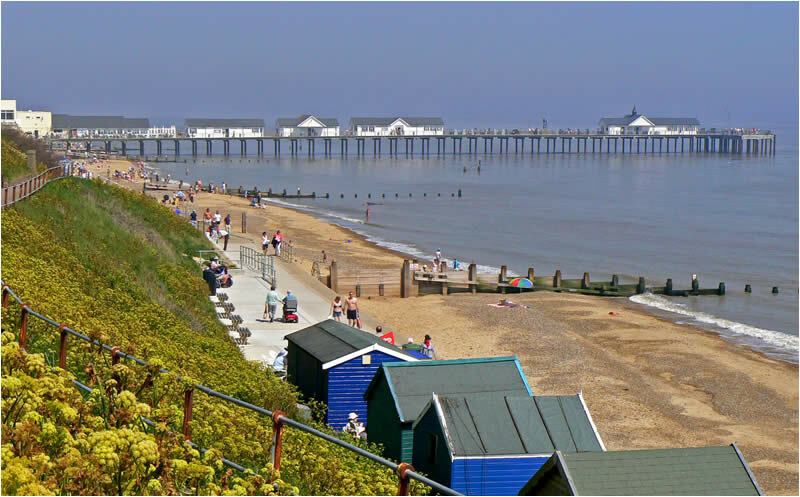 We chose to visit the quintessential English seaside town of Southwold in nearby Suffolk on our last day. 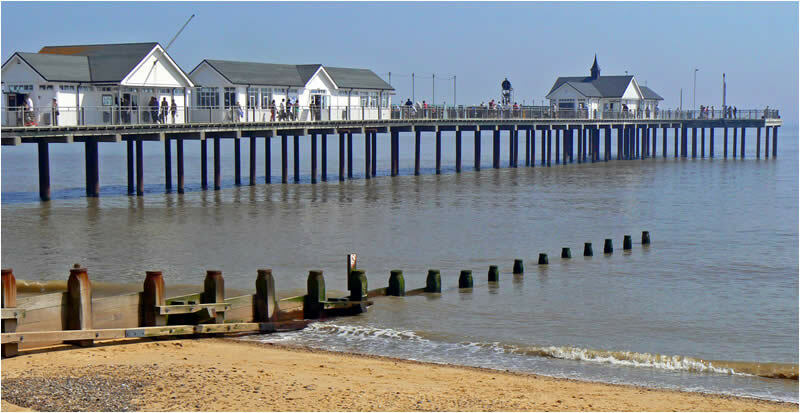 It has everything you would expect from a classic seaside destination, starting with the pierside amusement arcade where I was fleeced of the last of my money by an over excited 5-year-old who had just discovered the shove penny game! After managing to wrench our budding gamblers away from the games, we had a blustery walk along the seafront, lined with the pretty beach huts of yesteryear – one in every colour. The town itself is very pretty and worth a look. 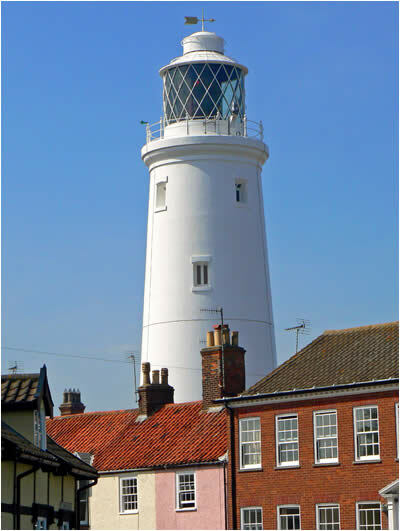 A majestic lighthouse, set within the houses (never discovered why exactly), two cannons, ye olde sweet shop, a great looking pub and it is the home of Adnams beer and also where the popular CBeebies TV Show “Grandpa In My Pocket” is filmed – something for everyone! Back to the pier for sausage and chips, before piling happy but exhausted children into the car for the easy drive back to London. FYI : The Bus Gang paid for everything on this trip… this is an independent review, and we would happily go back anytime.